Make 9 adorable cushions with this kit by Robert Kaufman! 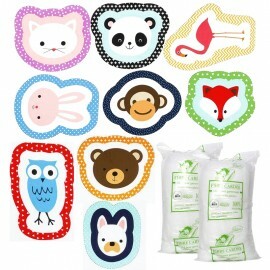 Create cushions in the effigy of your favorite animals: monkey, fox, bulldog, owl or flamingo ... Add a touch of pop in a child's room with its cushions to create, ideal as a birth gift. 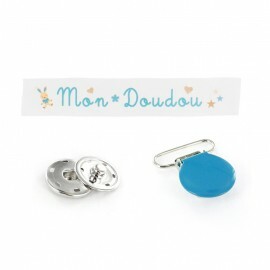 Discover the kit My doudou to make your own pacifier clip! Stitch by hand or with your machine and in less than 5 minutes, you're done! Be reassured, baby will never lose his pacifier again! 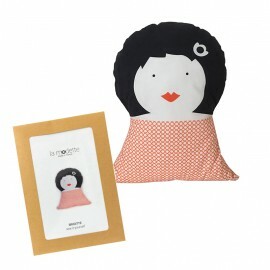 Meet Brigitte, the doll comforter-cushion to stitch yourself. This sewing kit contains all he necessary material to make an original design cushion (padding included). For your home or to offer, this sewing kit designed in France is suitable for beginners and experienced seamstresses. It will be ideal as a comforter or a decorative cushion in a child's room. 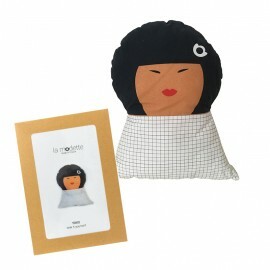 Meet Yoko, the doll comforter-cushion to stitch yourself. This sewing kit contains all he necessary material to make an original design cushion (padding included). For your home or to offer, this sewing kit designed in France is suitable for beginners and experienced seamstresses. It will be ideal as a comforter or a decorative cushion in a child's room. 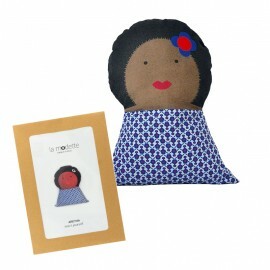 Meet Aretha, the doll comforter-cushion to stitch yourself. This sewing kit contains all he necessary material to make an original design cushion (padding included). For your home or to offer, this sewing kit designed in France is suitable for beginners and experienced seamstresses. It will be ideal as a comforter or a decorative cushion in a child's room. 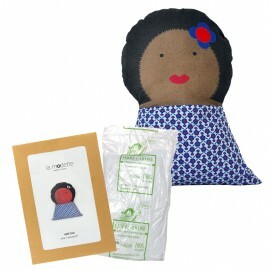 Meet Aretha, the doll comforter-cushion to stitch yourself. This sewing kit contains the necessary material to make an original design cushion (padding not included). For your home or to offer, this sewing kit designed in France is suitable for beginners and experienced seamstresses. It will be ideal as a comforter or a decorative cushion in a child's room. 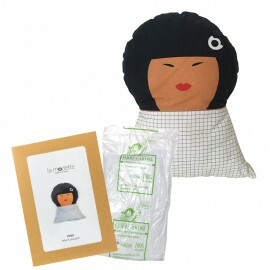 Meet Yoko, the doll comforter-cushion to stitch yourself. This sewing kit contains the necessary material to make an original design cushion (padding not included). 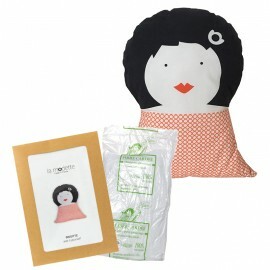 For your home or to offer, this sewing kit designed in France is suitable for beginners and experienced seamstresses. 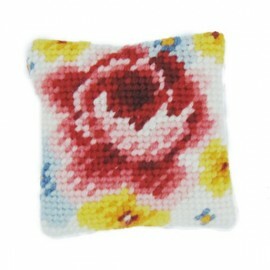 It will be ideal as a comforter or a decorative cushion in a child's room.